Chicken Soup for the Soul: Grandparents, released yesterday. In it I tell a story about grandparent love. When I was growing up my grandma lived with us, and she was my best friend. There were no senior citizens or adult communities. There were few nursing homes, but grandparents usually lived with their children and grandchildren. The grandparents gave the children time and wisdom, and the children gave the grandparents a sense of joy and lasting youth. In my day, older folks sat on front porches and welcomed us kids to stop by and visit. I remember going from house to house, chatting with several retirees. I would visit my neighbors and happily listen to their tales of earlier days. Sometimes they pulled a book off the shelf and read it to me, including an encyclopedia. Since then, too often the generations have become segregated, and I think that’s been detrimental to our society. The older generation is separated into senior living subdivisions, housing, and senior care homes, far from the joy and exuberance of little ones. Little ones miss out on quality time and wisdom the older generation can offer. And the parents are caught in the middle trying to find babysitters to manage their busy schedules. All generations have lost in such a system. Until last year, my grandchildren were halfway around the world, in South Africa. Now they’re in California but still quite a distance to travel. So my daughter and I make a point of connecting us grandparents with our grandchildren on a regular basis and everyone is blessed! 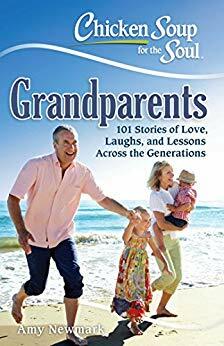 The grandchildren enjoy story time, jokes, games, and conversation filled with love and care. We grandparents get I love buckets filled to the brim and sometimes overflowing with joy, laughter, and happiness. And the parents get a few moments of peace and quiet… sometimes. We also have the blessing of a few friends and neighbors who share their little ones with us. Their grandparents live in another part of the country, so they’ve “adopted” us and we them. We get together often for meals or movies or reading books or just hanging out together, and we are all blessed because of it. We are grateful these young families include us in their lives, and I believe God would be pleased. We are determined to bridge the gap, create a lifetime link of love and lasting memories, and have many deep inter-generational relationships. I hope you will too. If you’re a parent, reach out to the older generation and invite them into your a busy family life. If you are a grandparent, reach out to a young family and become a part of their lives. Will be glad you did. To read my story and a hundred other inspiring stories, get Chicken Soup for the Soul: Grandparents.